It was an action-packed first day at the IPL Auction 2018. There was plenty of anticipation about who will emerge as the costliest player this time. Just like last year, English all-rounder Ben Stokes has once again proved to be the player sold with the highest bid. Rajasthan Royals has bagged Stokes for a whopping bid of INR 12.5 crores. As soon as his name was up for the auction, the franchises had a tussle to add him to their camps. Chennai Super Kings, Kings XI Punjab and Kolkata Knight Riders bid for him for a long time but at the end, Rajasthan Royals ran away with the winning bid. 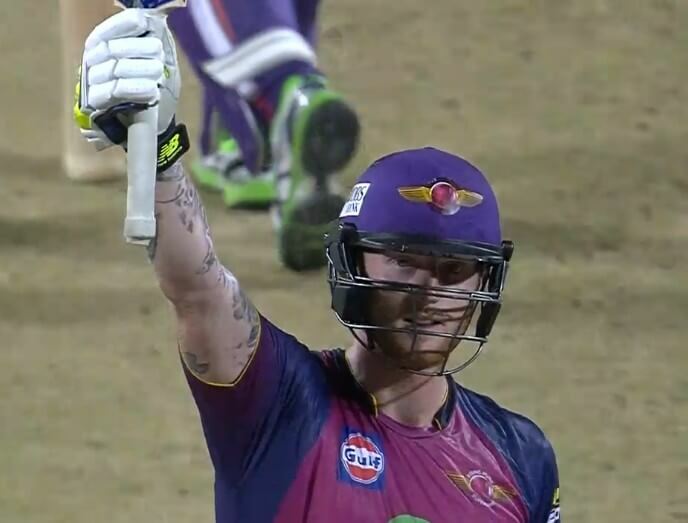 Stokes’s performance last year for Rising Pune Supergiant was outstanding and it comes as no surprise that he was the top player this time around. India’s batsman KL Rahul was the other big gainer as he bagged an amount of INR 11 crores from Kings XI. Manish Pandey also went for the same amount and Sunrisers Hyderabad went all the way to buy him. These 2 were the top picks amongst the Indian players that went under the hammer. As expected, Australia’s big-hitting batsman Chris Lynn attracted a lot of attention and he was sold to Kolkata Knight Riders for INR 9.6 crores. Joining him in the KKR camp will be his countryman Mitchell Starc who also claimed a huge bid of INR 9.4 crores. Afghanistan’s leg-spinner Rashid Khan was sold to Kings XI for INR 9 crores but Sunrisers opted to use the RTM card for him. Krunal Pandya was also a hot candidate in the auction as he bagged a bid of INR 8.8 crores from Royal Challengers Bangalore but Mumbai Indians did the smart work by using the RTM card. A big surprise occurred when Chris Gayle did not find any buyers on day 1 but KXIP did manage to get him on day 2 when he was recalled for the auction for the 3rd time. Joe Root and Hashim Amla were amongst the others who went unsold. On day 2, the franchises looked to plug the gaps in their teams and completed the required number of players. Jaydev Unadkat made the headlines as he was picked up for INR 11.5 crores by Rajasthan Royals. Andrew Tye and Krishnappa Gowtham were the other big gainers on the second day. Sandeep Lamichhane became the first player from Nepal to be picked in the IPL and he will play for DD.